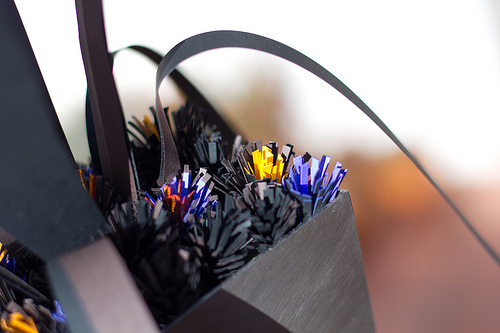 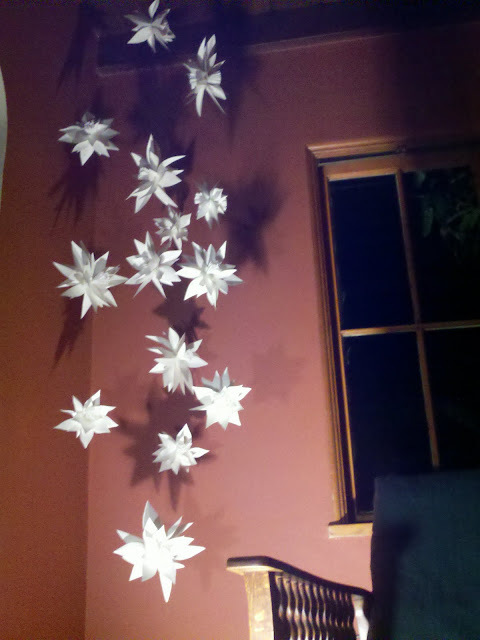 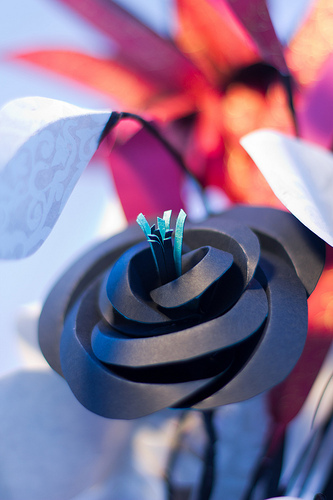 Happy Holidays from Paper Botanicals! 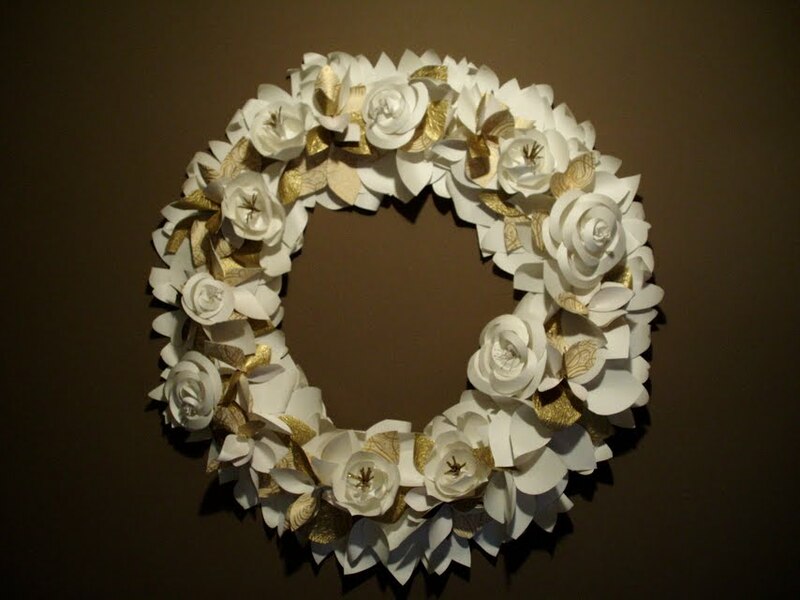 We're ready to deck the halls with these handmade wreaths, one in gold and one in pure white. 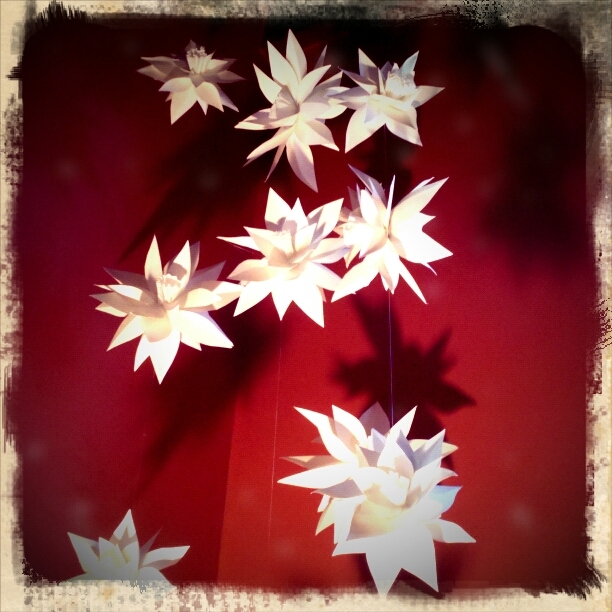 We hope your holidays are bright, fun and filled with beautiful decor! 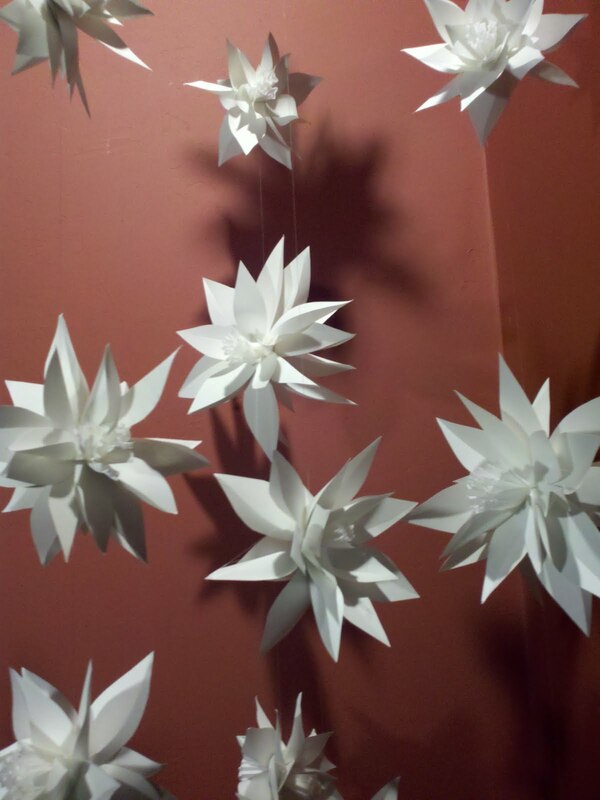 Paper Botanicals at Erinn V Maison Grand Opening! 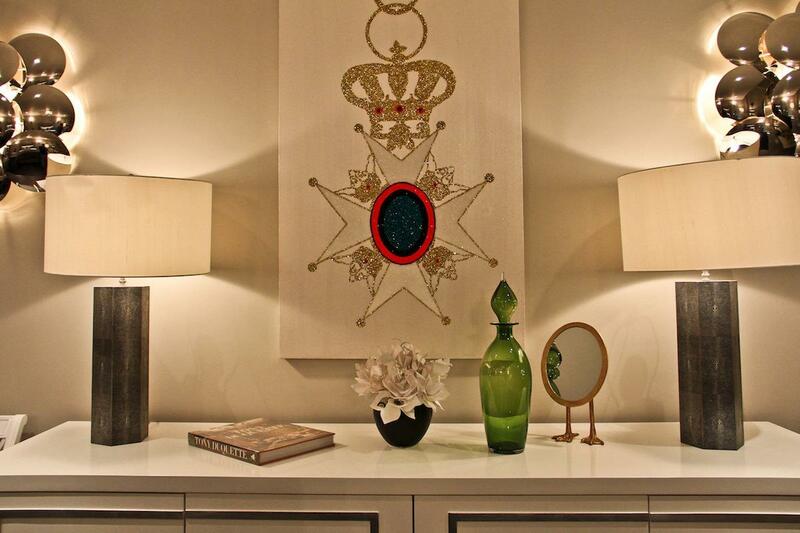 We're so excited for the launch of Erinn V Maison, a new furniture and home decor store founded by our dear friend and fabulous designer Erinn Valencich. 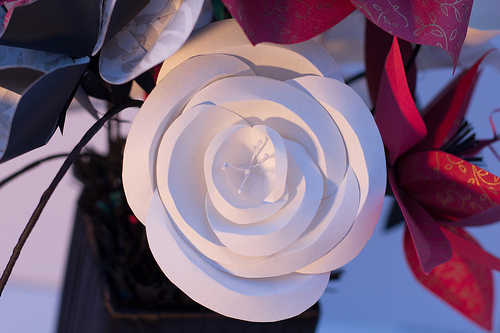 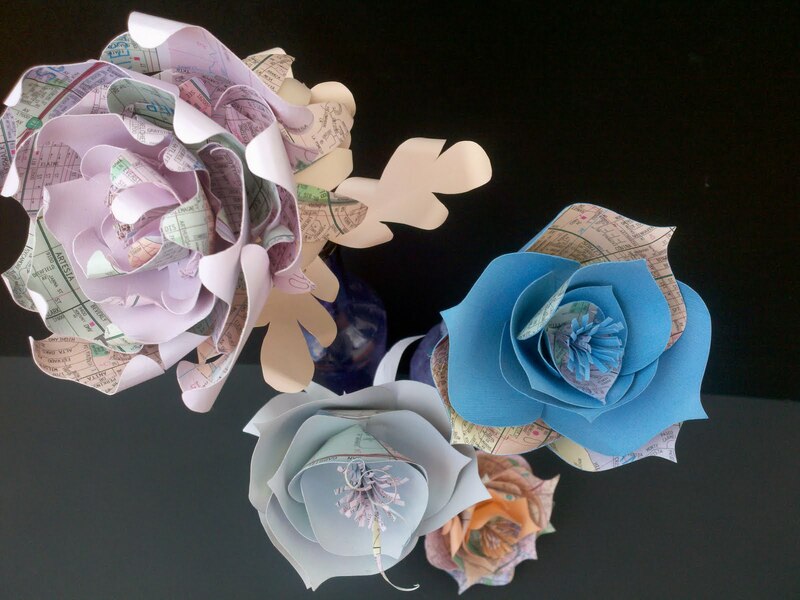 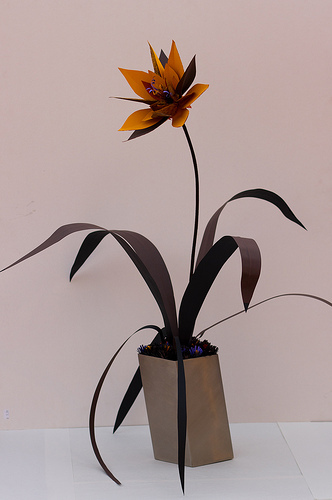 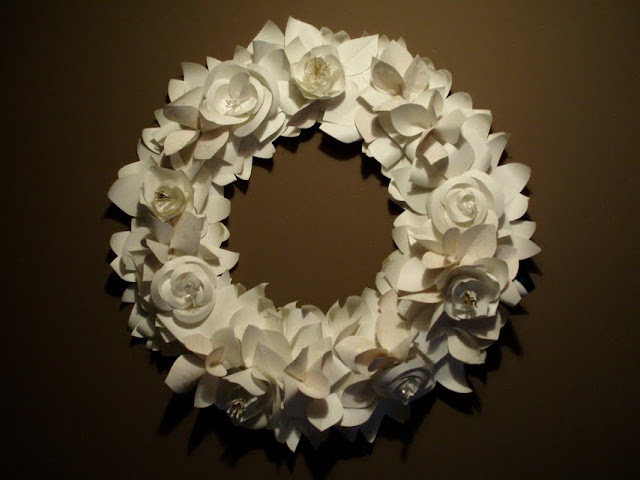 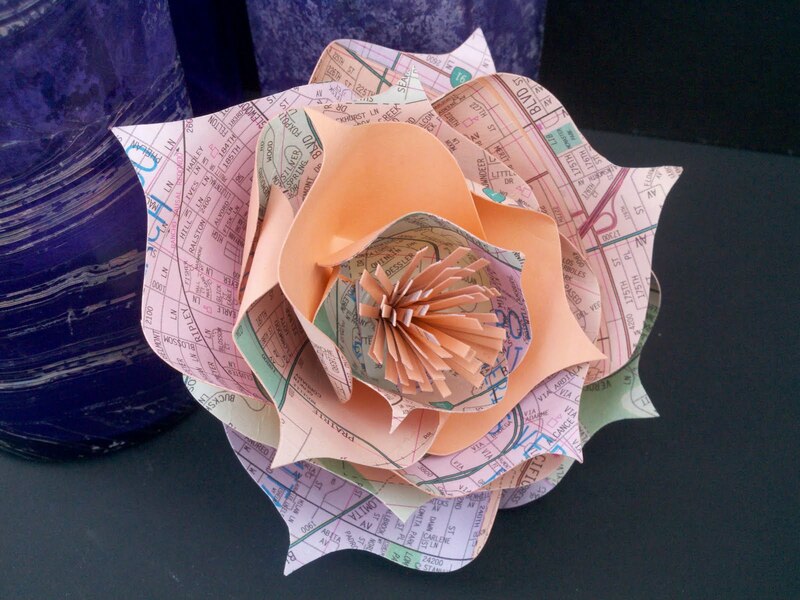 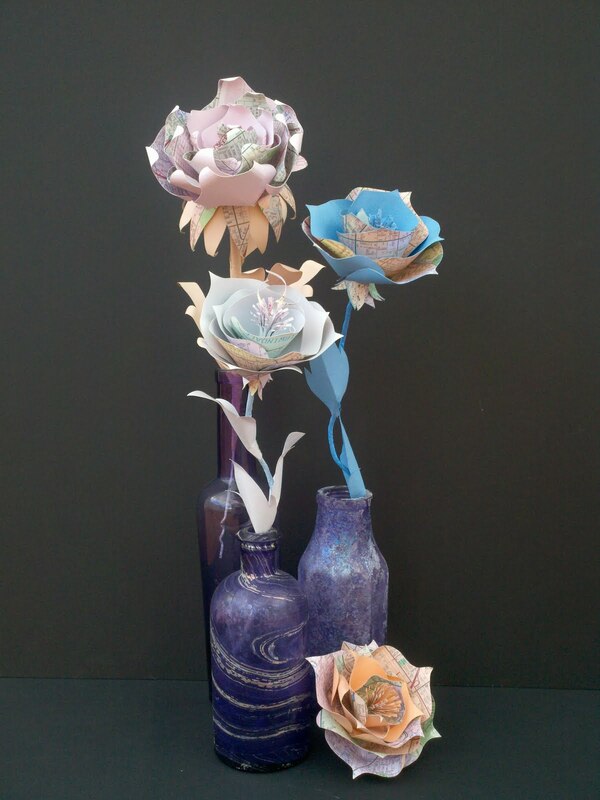 A new line of Paper Botanicals' paper flower creations will be displayed and sold in the store, including wall hangings, single stems, holiday decor and more! 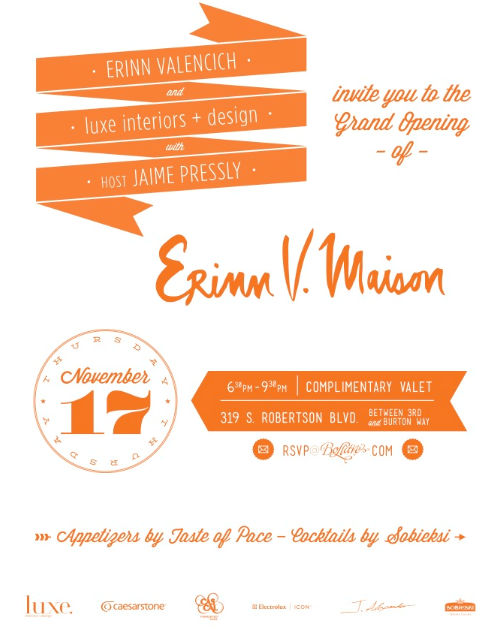 Below are the details for the launch party- we hope to see you there! 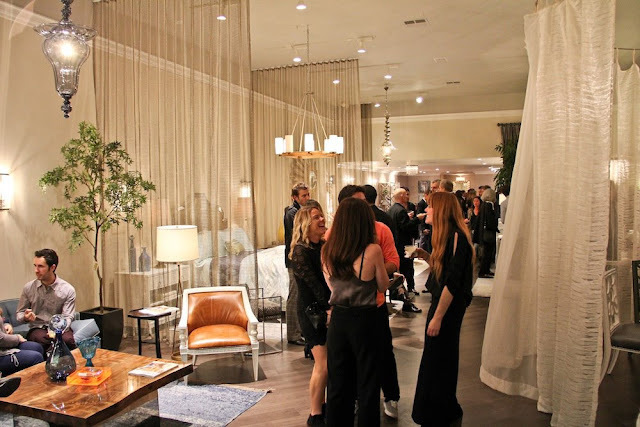 Pieces from some other amazing LA designers will be joining ours on EV's shelves, including Cadrys Designed Rugs, Carlos Alberto Leather, Princes & Crows Wallpaper, Whyrhymer by Brandon Morrison, John Saint-Denis Vintage, Sara Paloma Pottery and Kerry McBride. Actress Jaime Pressly will be co-hosting the launch party with Erinn V, along with Luxe Interiors + Design. 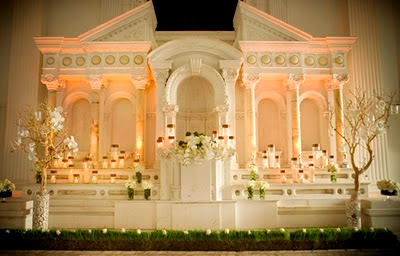 Come celebrate with us and enjoy appetizers, cocktails, music and and evening of chic design. 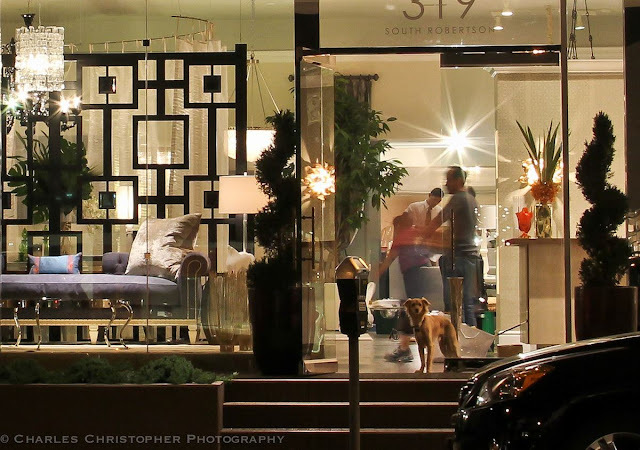 Oh and don’t worry about parking, Erinn V's got you covered with complimentary valet! 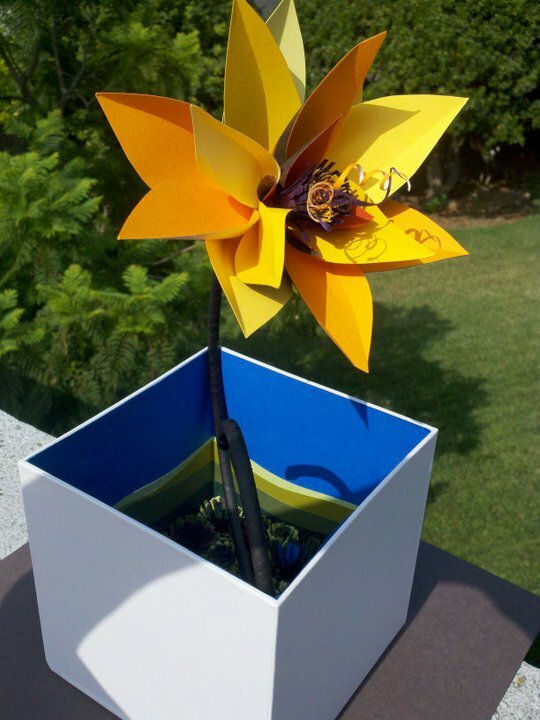 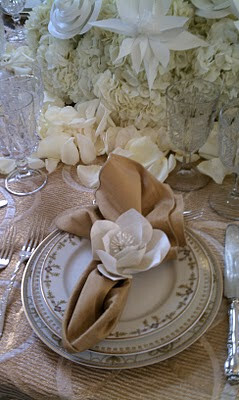 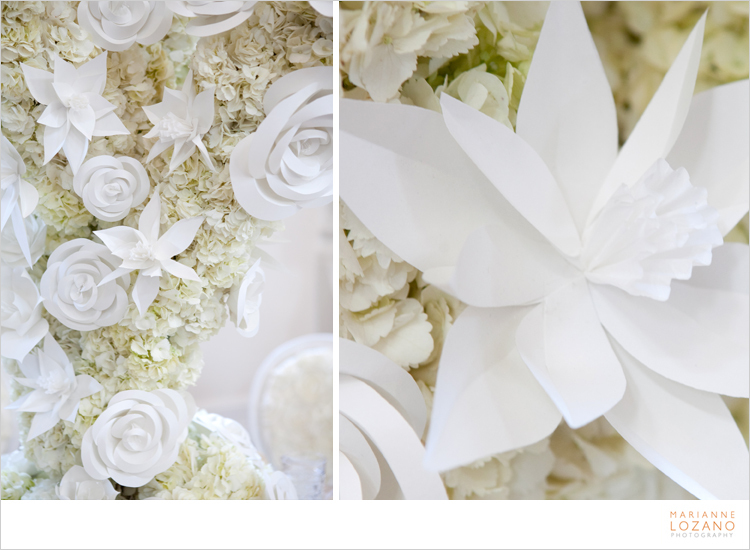 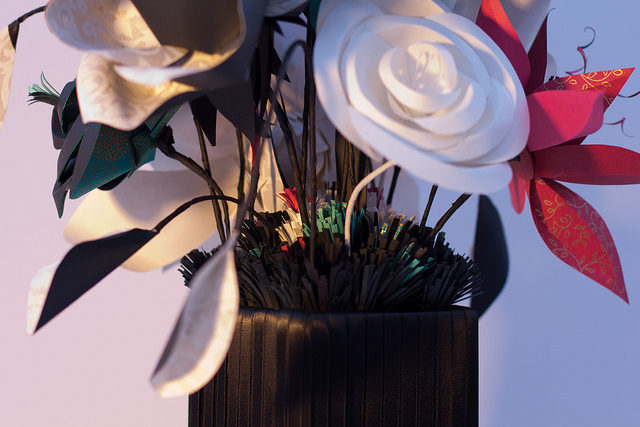 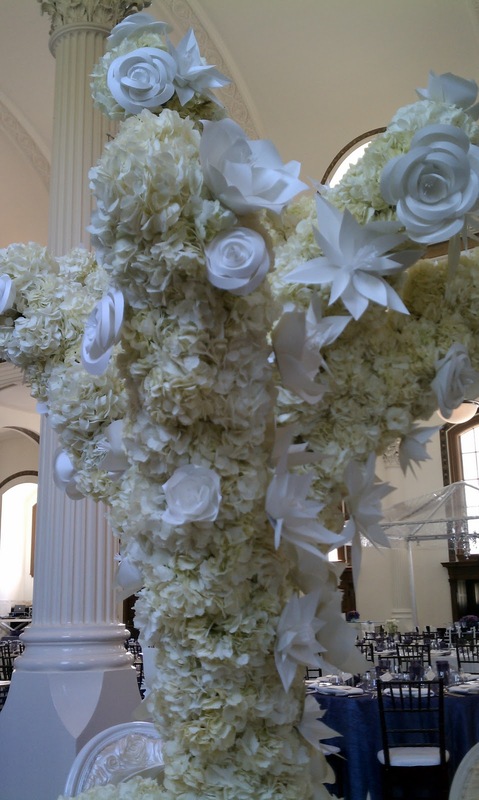 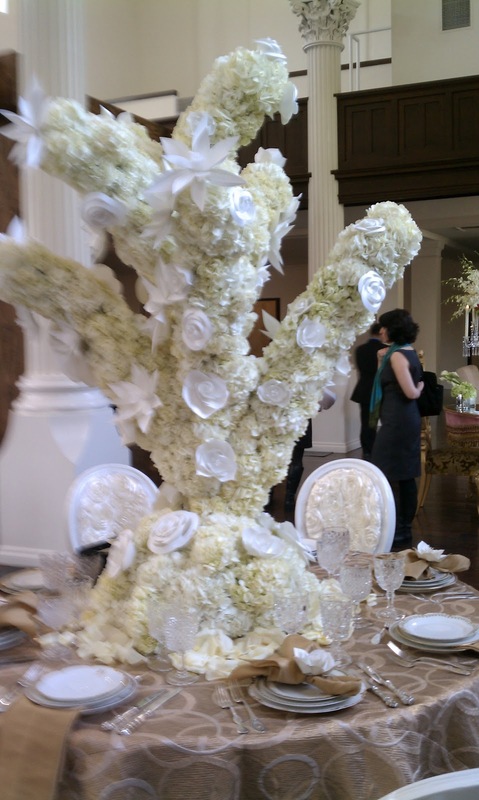 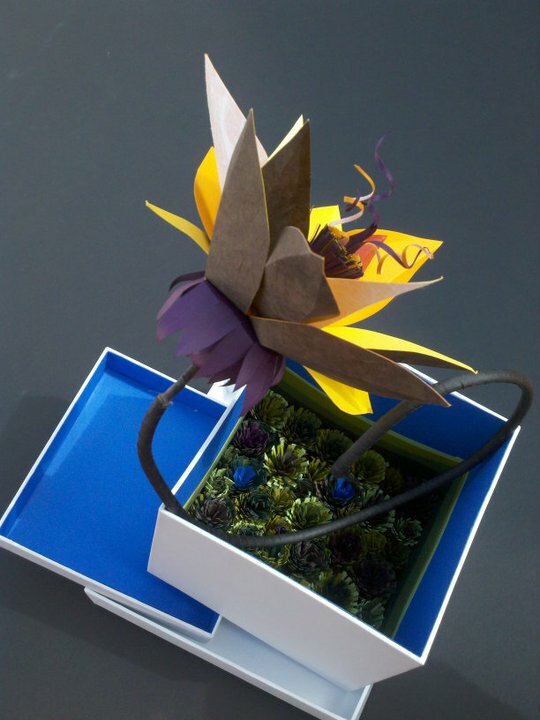 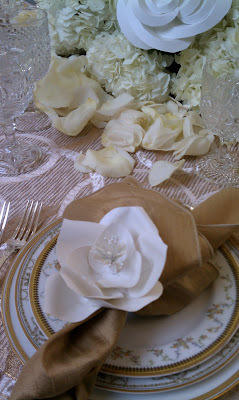 Paper Botanicals and Tic-Tock Couture Florals Team Up for WIPA LA! 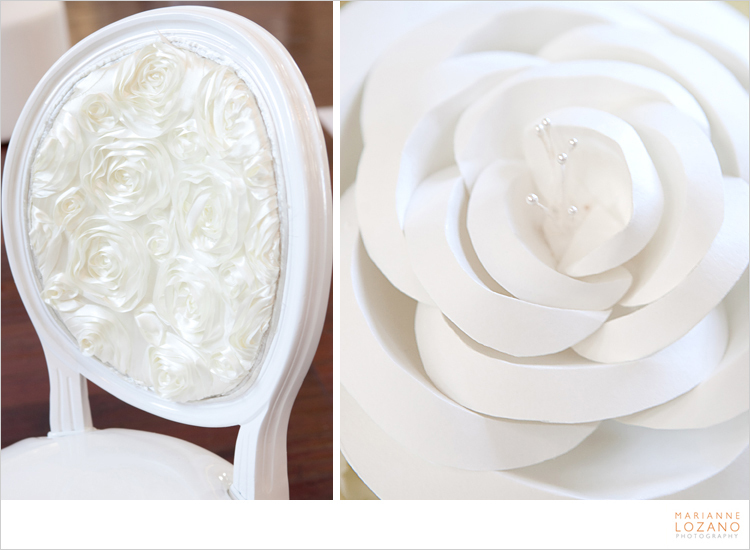 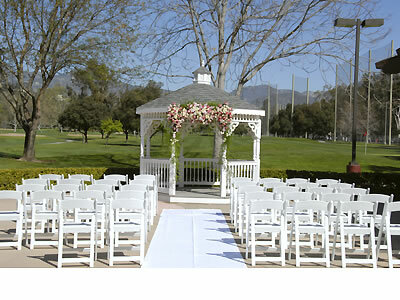 Wedding professionals rejoice! Paper Botanicals is proud to announce that our work will be featured in a large centerpiece design by TicTock Florals at the upcoming WIPA (Wedding Industry Professional Association) meeting on March 8th at the beautiful Vibiana in downtown Los Angeles. 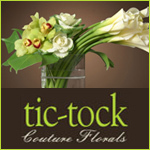 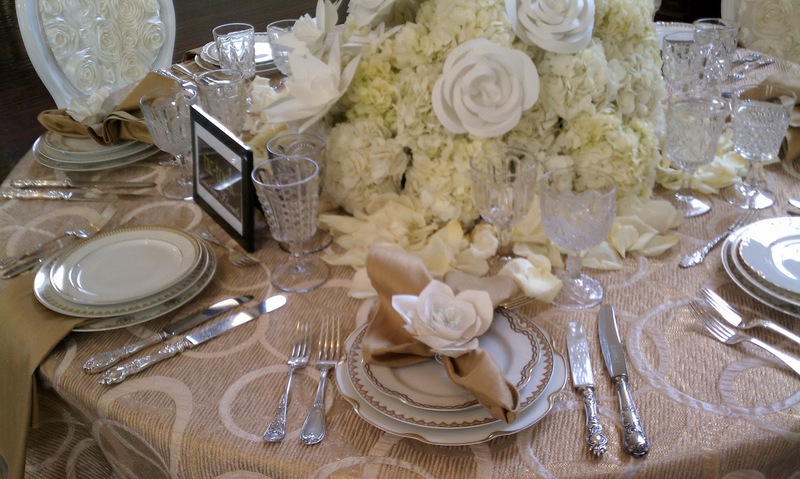 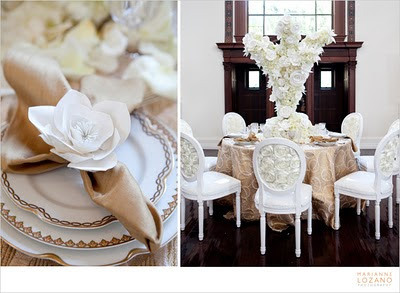 We are busy creating new designs for this event, and are very excited about working with Tic-Tock, one of LA's best-loved couture floral designers. Stay tuned for pictures from the event! Thanks to Vibiana for the image. 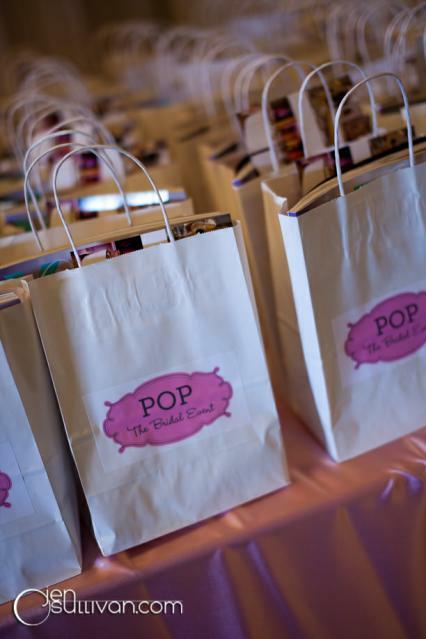 Thanks to all who came to POP! 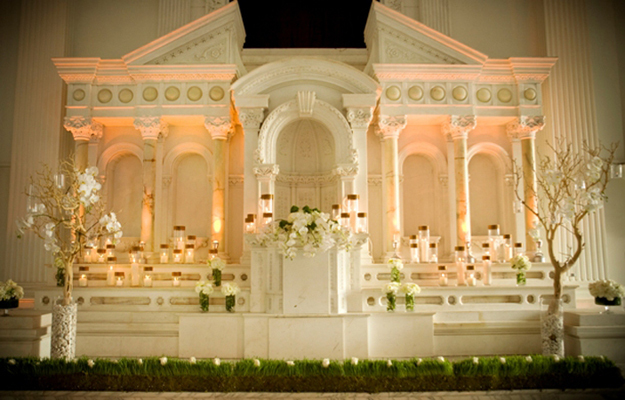 It was a spectacular event, with everything a bride could dream of to make her wedding day perfect--and more mini cupcakes than one person should ever consume. 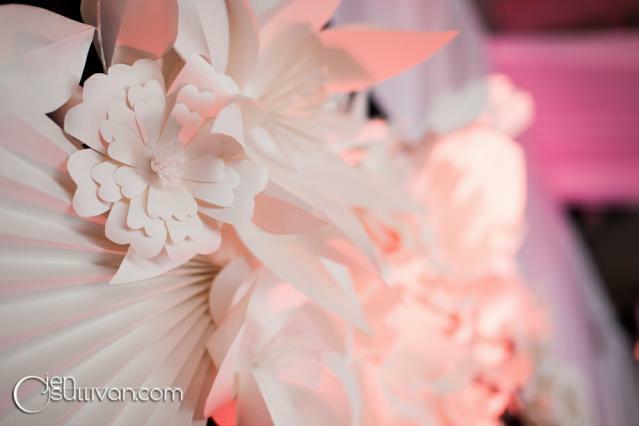 Check out some pictures of our booth, below, courtesy of Jen O'Sullivan. 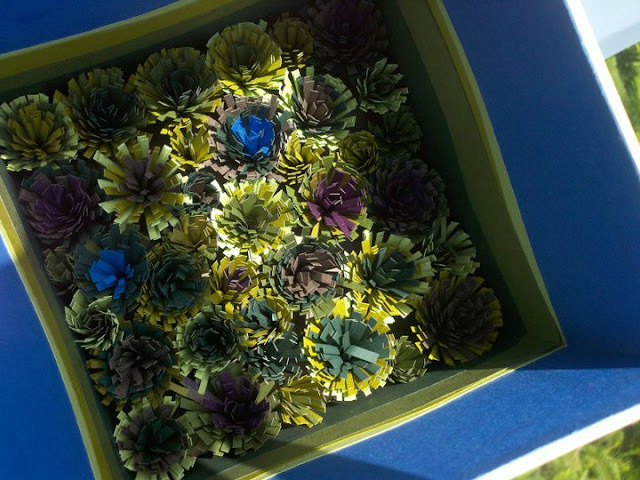 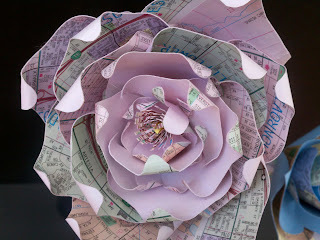 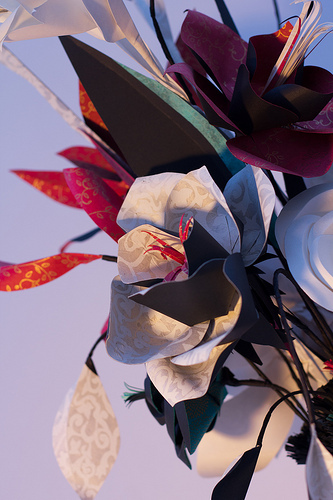 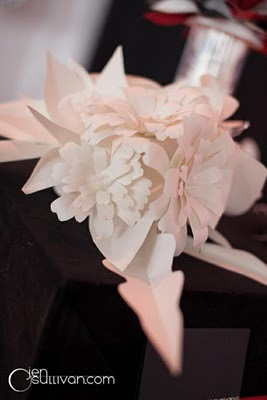 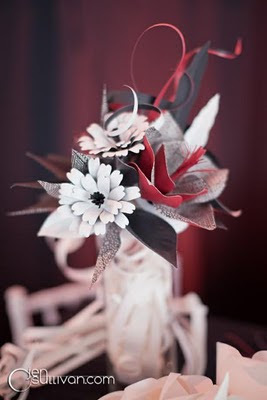 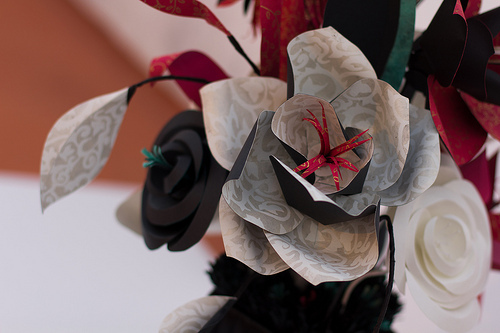 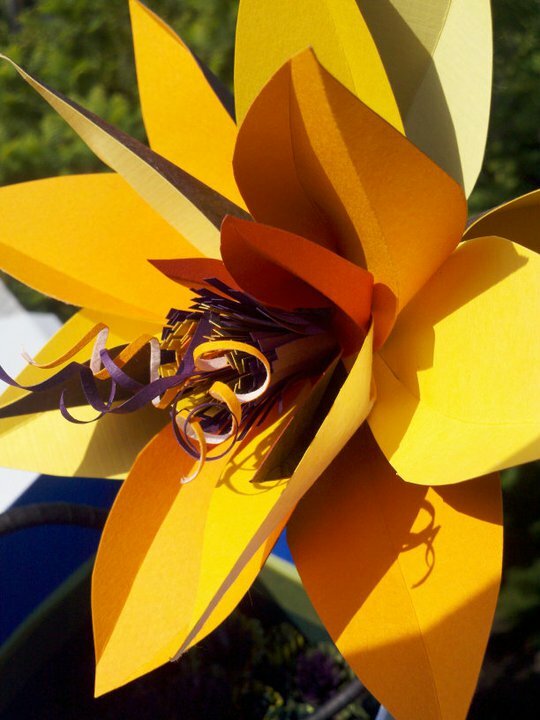 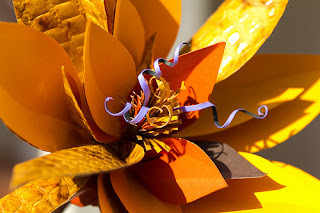 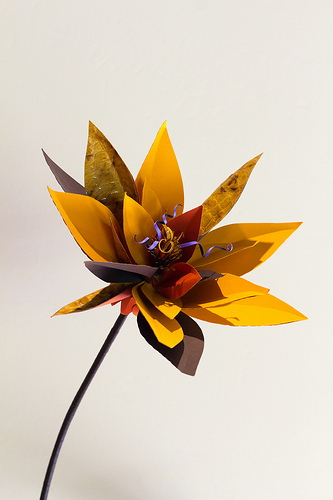 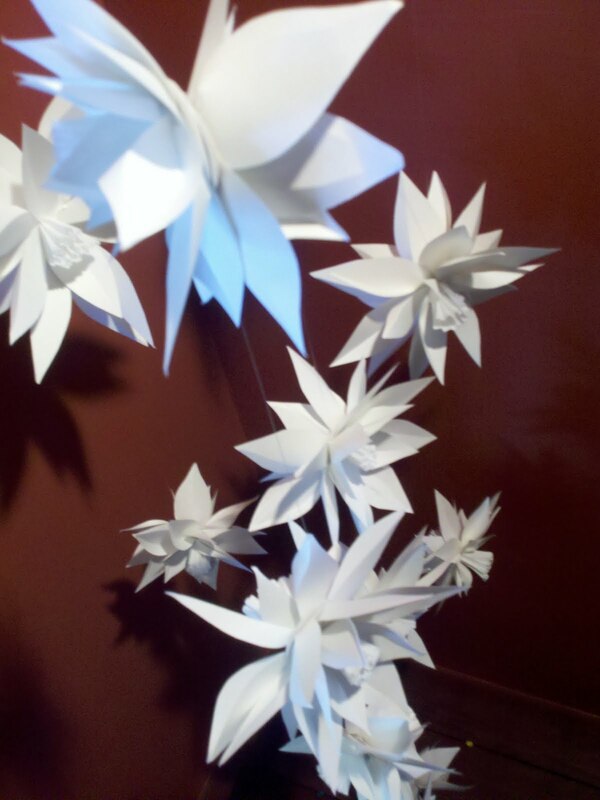 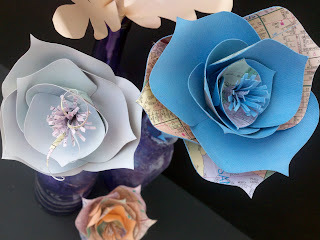 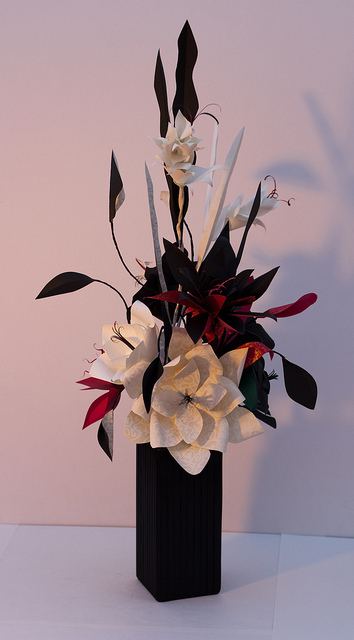 She took some beautiful closeups of our paper flower sculptures. 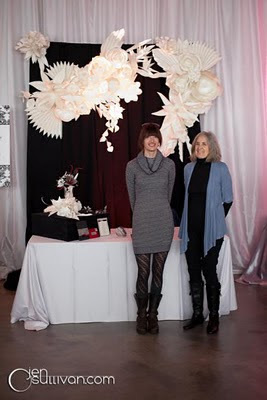 And it was great to meet some fabulous new friends as well, including Eddie from Tic-Tock Florals and Hoofrish at Tamrish Event Design.